This is my version of a recipe by Karen Martini, my main addition is liquid smoke [wiki], to add an extra smokey flavour. I bought a couple bottles of this on our last trip to the USA, but according to a few forums, it can either be bought online, at David Jones Foodhalls, or from American cooking shops, also BBQ shops may stock it too. Apparently Zarbo in Auckland also stocks it too. 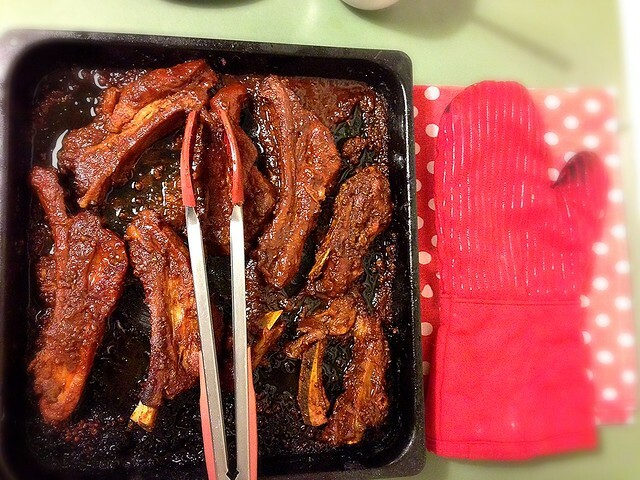 I like to use chunky, meaty pork ribs for this, these work much better than the smaller ones on the rack that the supermarkets sell. 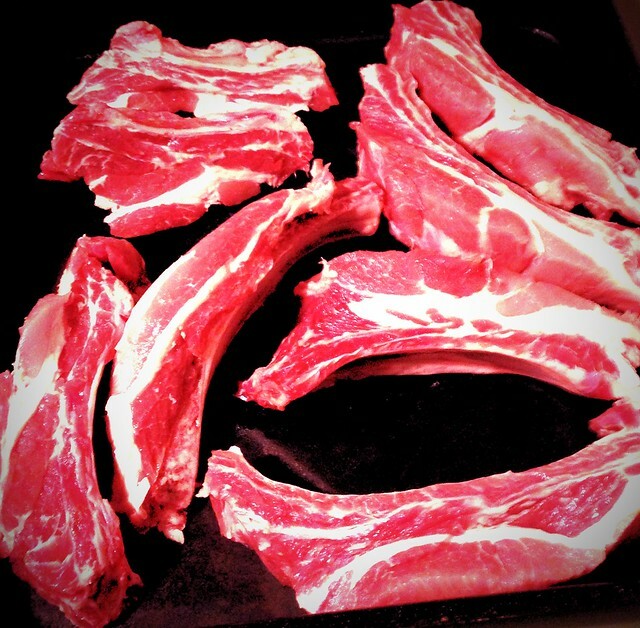 We get ours from Butcher Boy, who are based on the Gold Coast but have stalls at Jan Powers farmers markets. Preheat oven to 220C. Place the ribs into a large baking tray and add all other ingredients other than the beer and massage into the ribs thoroughly. Pour over the beer, cover tightly with foil and cook for 40 minutes. Remove cover and cook for a further 20 minutes, turning them once or twice until brown.